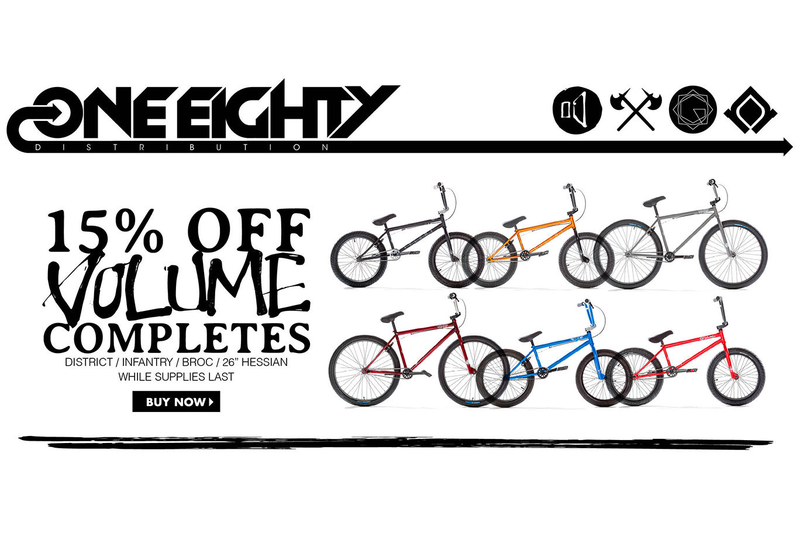 Don’t forget that we’ve put a ton of stuff on sale this month (while supplies last) to make room for all of our Spring 2016 Volume & Demolition goods. That includes the Broc Raiford Volume Vessel frame, and we’ve only got a really small amount of those left. Other items on sale include Volume Completes and Demolition/Volume seats and stems anywhere from 15-30% off. Remember this is while supplies last, and supplies are running pretty low. Panos has been unstoppable lately while traveling the world, trekking hours to find set ups in remote places, and just killing set up after set up. 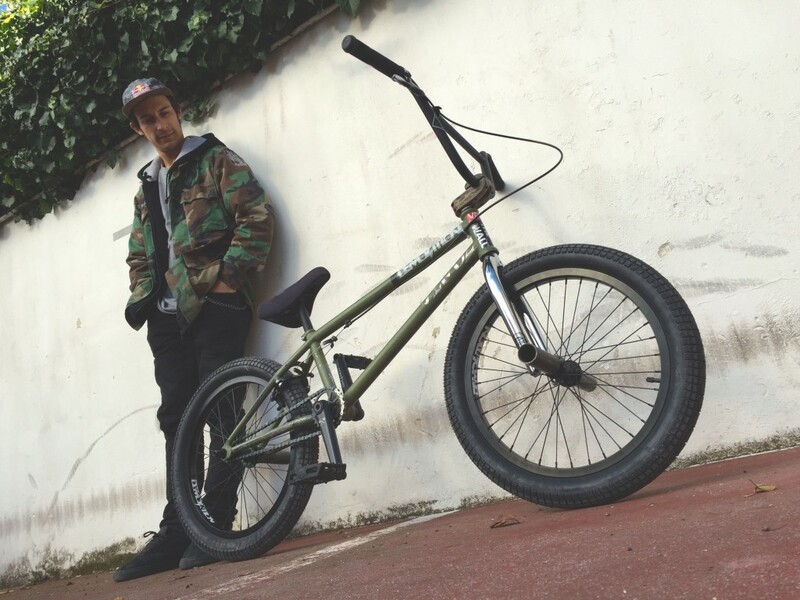 He just dropped a bike check and some awesome Anas Mansour photos on Meatballs BMX (Greece) for his newly minted Verde X Demolition whip. Head over and check it out; and here’s a quick link to Google Translate since you’re probably like me and can’t speak Greek. Spring is turning, daylight savings time is ending, and all of our completes are 15% off just as the days get longer. The Volume completes are down to a limited number and we’ve seen nothing but positive responses. They’re easy to build, have name brand parts, and have been really reliable for all the customers we’ve talked to. Fill in some holes in your stock or use this as an opportunity to try Volume completes if you haven’t yet. The sale won’t last forever, and stock is very limited. 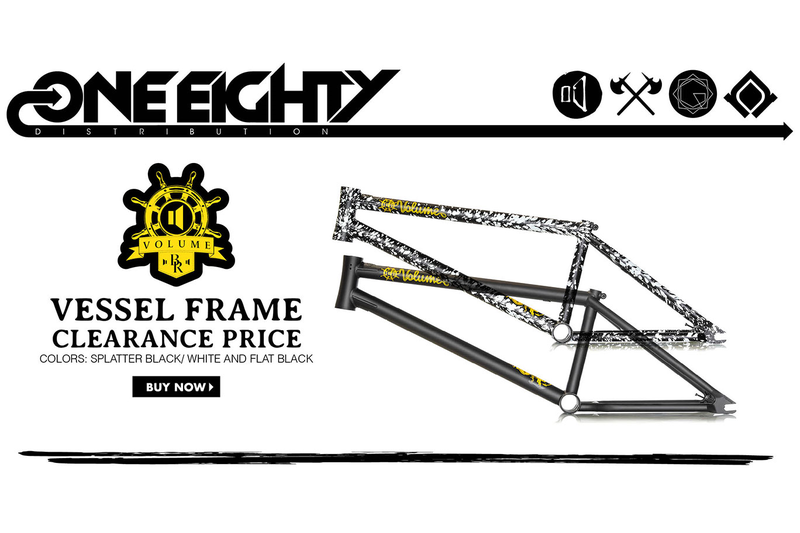 Don’t forget our frame sale and 30% off sale while you’re at it. 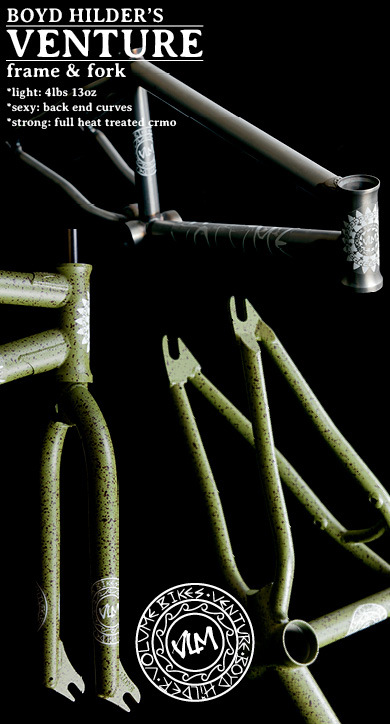 Demolition Pro Matt Cordova has a sweet Thrice (not the band) feature up on rideuk. 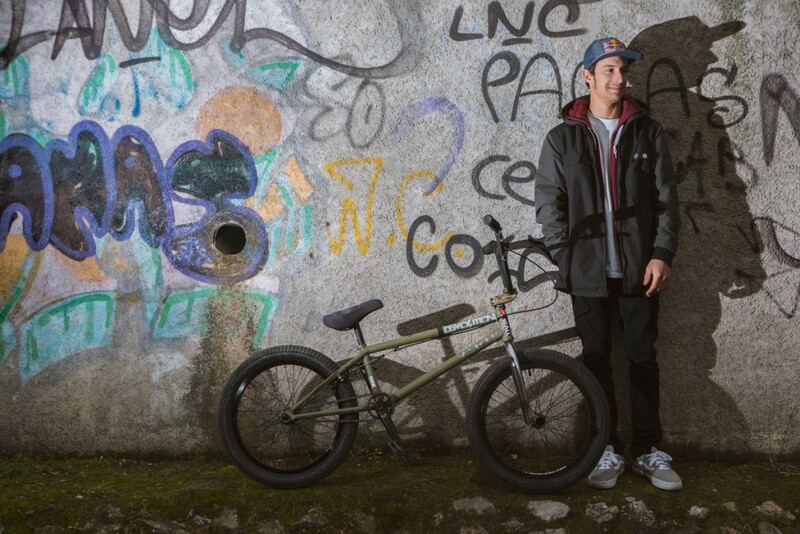 Matt has been on the scene for a bit now and has always been every pro’s favorite rider, but lately the masses are starting to recognize it. He goes faster and higher on almost anything, and has style to boot. Go check out his Thrice feature where he addresses his past, present, and future. 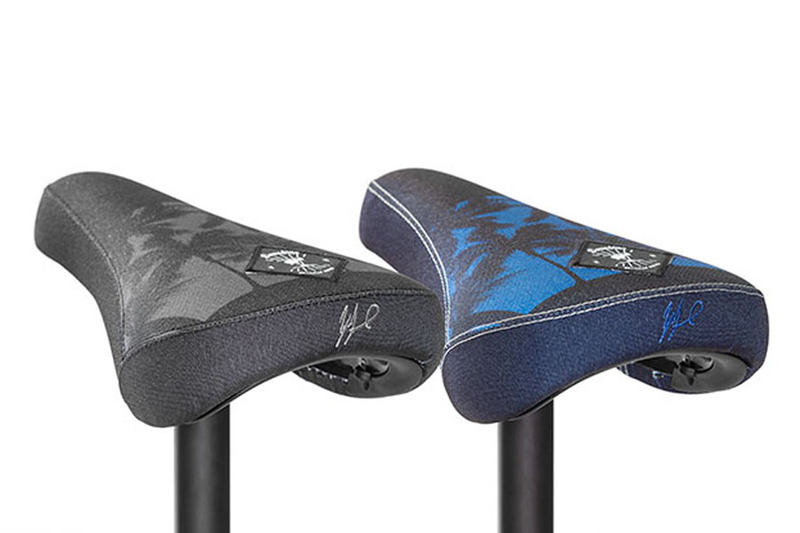 There’s even a sneak peek of his new signature motorcycle inspired seat at the end. Seats have become like tires and grips; a basic that’s changed almost just as often. To make things a little easier and better, from now on whenever you order any seat, we’ll give you 15% off any regular priced matching post for it. 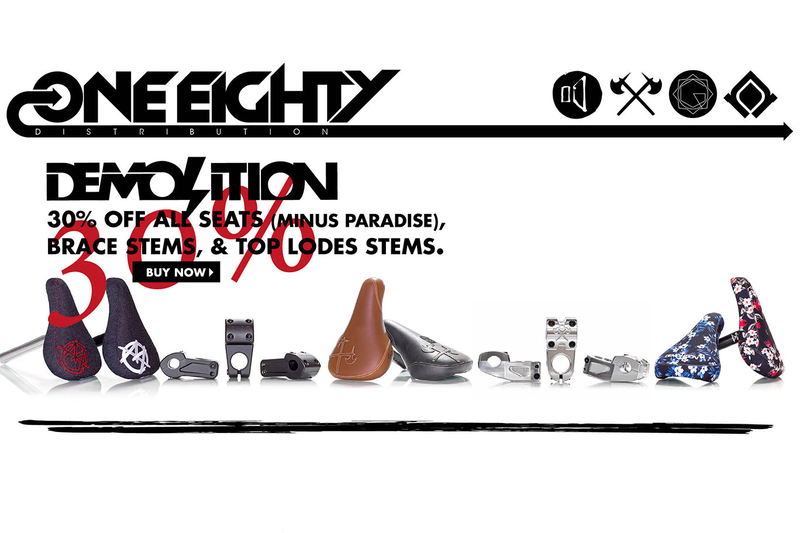 The coupon is “seatpost.” For example, if you get one Demolition Paradise Pivotal Seat and want a matching Pivotal 135mm regular priced post, then you’ll get 15% off that post when you enter the code “seatpost.” The discount only works for every seat post matched with a seat. If two seats are bought and multiple posts, then the discount only applies to the first two posts. If you have questions, give us a call. 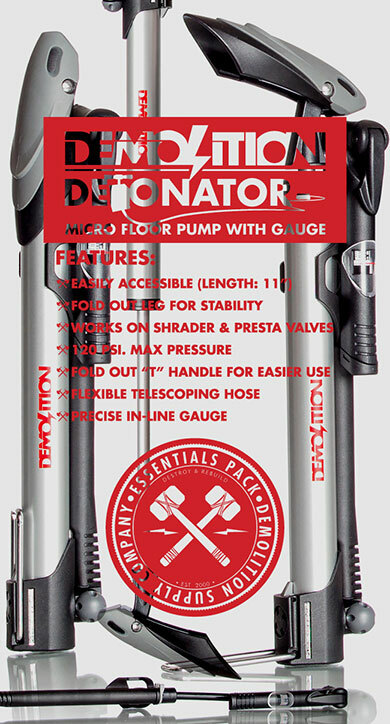 Demolition & Volume stems are in stock. 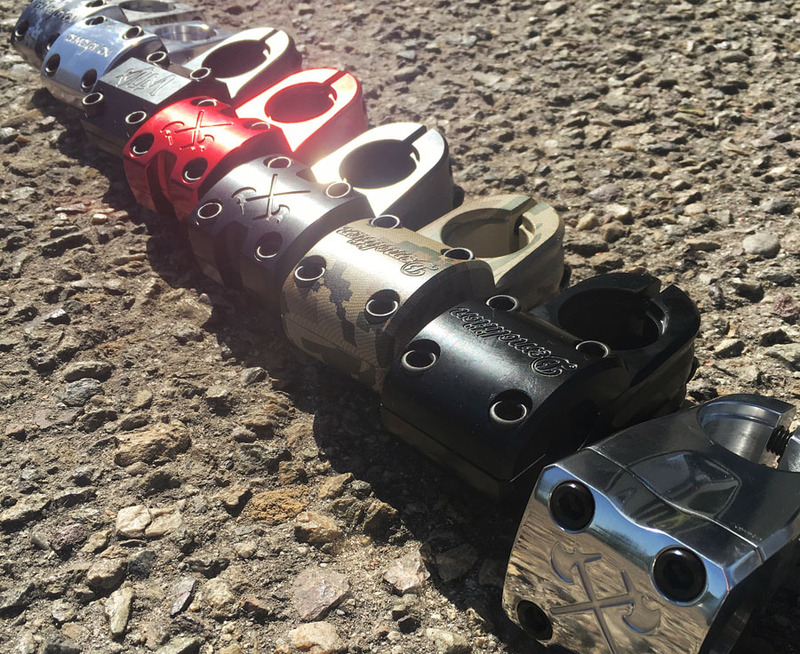 There are a ton of different reach, stack, and height options to choose from to dial in the front end perfectly. They also come in a range of colors as you can see. Pictured from L to R: Connor Top Lodes, VLM TL, Aaron Smith Brace TL, Tyler Fernengel Paradise TL, and Kris Fox Stylus FL. 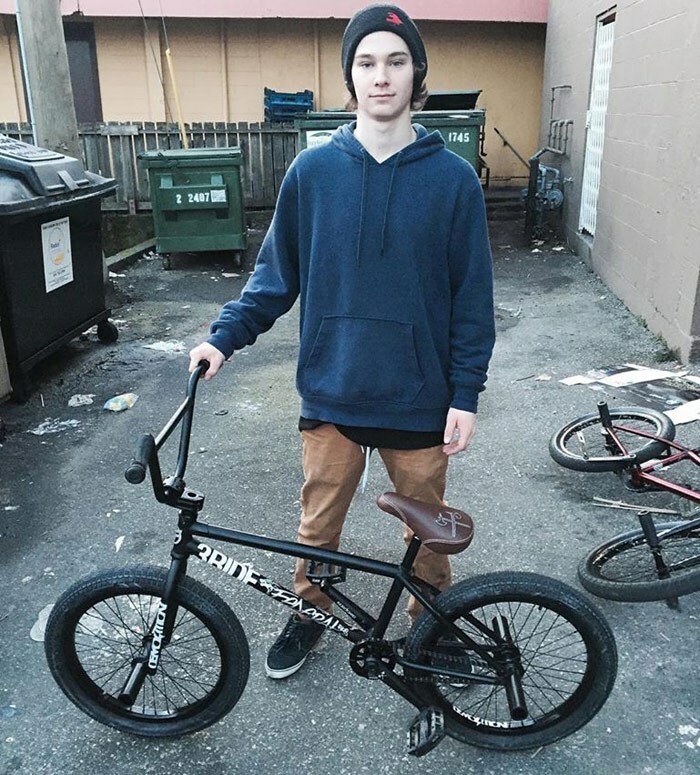 On the heels of Panos, we’re stoked welcome Tristan Sweet to our Demolition distro rider team through Killemall distribution in Canada. Tristan has been killing it lately if you haven’t noticed and he’s got a bright future ahead of him in his young age. Keep on the look out for Tristan as he’s working on his welcome edit right now, and in the meantime check out some of his clips in Closet Boys.